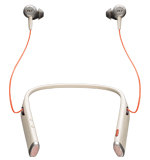 Plantronics Voyager 6200 UC Bluetooth is a neckband headset (includes BT600 Bluetooth adapter). Certified for Microsoft Skype for Business as well as many softphone software applications. 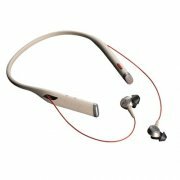 Plantronics Voyager 6200 UC offers ANC active-noise canceling earbuds, four(4) omnidirectional microphones for clear voice pickup. 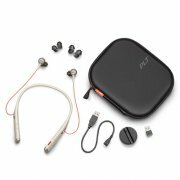 All the features for voice communications and connection with all your devices. Voyager 6200 UC offers professional premium audio for both office VoIP communication and music when you're not in the office. * Enhanced voice alerts announce caller ID, mute and connection status and talk time level. * Digital signal processing (DSP) deliver superior background noise canceling.